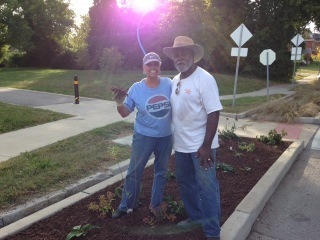 My wife Juanita and I were inspired to plant the Maple Ave. Monarch Butterfly Garden in Summer 2015, after viewing the University City In Bloom Midland and Olive Blvd. 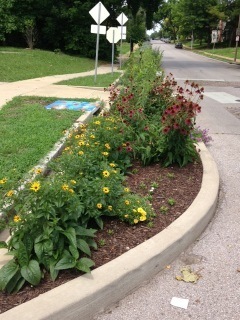 flower garden because the garden at the Ruth C. Porter Mall Park crossing, containing Prairie Dropseed, was drab. 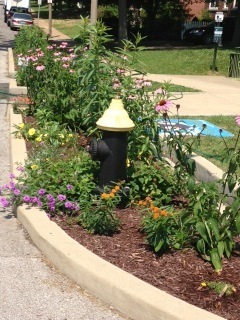 The project was undertaken as a 1711 Maple Block Unit effort to promote beautification projects in the West End neighborhood. Our project was a major endeavor given the six-bed garden’s approximately 750 square foot area spans both sides of Maple Ave, and because no neighbors committed to assist us. 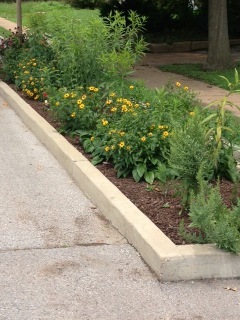 After obtaining City of St. Louis Public Property Permission Authorization, Great Rivers Greenway and Neighbors Naturescaping Approval, and submitting a Planting Plan of plant locations and perennials to be planted, we began reclaiming the beds. During bed replanting, we were pleasantly surprised when youth offered to help. We dubbed them “Juanita’s Crew”, took photos, and asked to recognize their effort in their KIPP Victory Academy class. 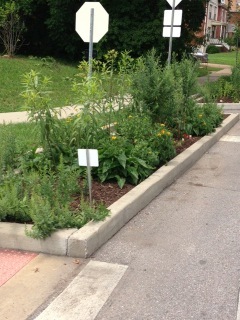 Planting provided opportunities to meet many residents, with some asking if we would create a garden on their street. We offered to instruct them. 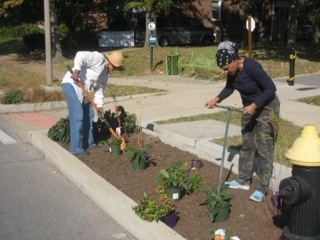 In addition to planting an assortment of recommended Neighbors Naturescaping perennials, we planted tulip and daffodil bulbs to signal Spring, and dianthus gifted by Brightside St. Louis for added color. We eagerly awaited Spring 2016 and the flower display didn’t disappoint. There were countless sightings of monarch butterflies dancing in the garden gathering nectar. In Fall 2016, we planted more tulips and daffodils for Spring 2017 color, and daylilies gifted by Brightside St. Louis. The 2017 Spring display was fantastic. 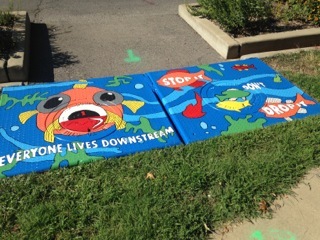 To compliment our Monarch Butterfly Garden, my wife assisted Metropolitan St. Louis Sewer District (MSD) and St. Louis Art Works teams with painting of nearby sewer lids, as part of MSD’s Inlet Painting Project. 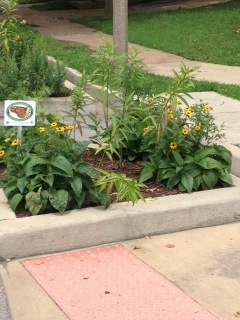 -Story contributed by Rodney N. through Milkweeds for Monarchs: The St. Louis Butterfly Project, a program of the City of St. Louis Mayor's Office.